Part of the joy of cradling a hot chocolate in your hands is being part of a happy crowd. So says Luigi De Luca, of Cremeria De Luca, who believes the ritual of sitting down while sipping a cioccolata calda also delivers significant health benefits. “English people have tea, but for us Italian people, drinking hot chocolate is also as important; connecting with the community is part of our culture and important for health and wellbeing,” says De Luca, whose original cremeria became legendary in Sydney's Leichhardt before he shut up shop five years ago. “My father grew up in Messina [the third largest city in Sicily] and I grew up alongside him learning the art of making hot chocolate. It's an old-fashioned tradition that is as much about having a good time and sharing a nice conversation as it is enjoying a luxurious treat … a cup of hot chocolate is very calming,” he says. The 50-year-old, who migrated to Australia in 1994, is again dedicating his days to making hot chocolates and churning out mountains of fresh gelati at the latest incarnation of Cremeria De Luca, which his daughter Virginia, 30, and son, Salvatore, 25, opened at the end of May. “My children are like me … they want to continue the traditions of Italy and introduce Australians to the joys of drinking Italian hot chocolate. I can't pretend I want anything more in life than for my children to honour and respect their heritage,” says Luigi. 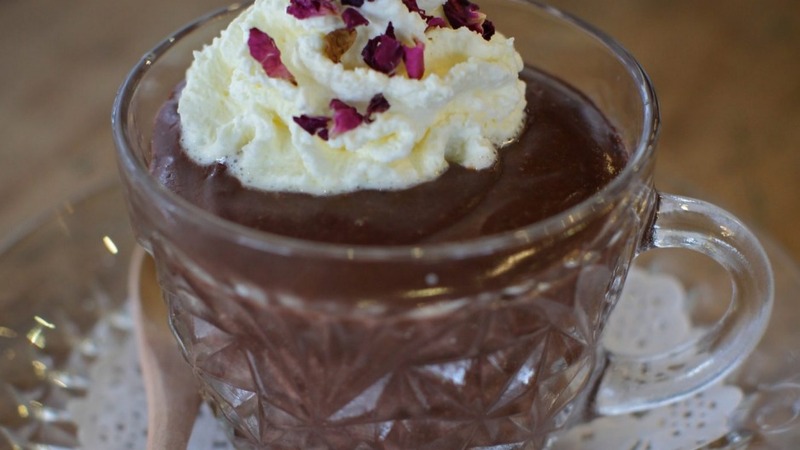 “A cup of hot chocolate might seem pretty simple, but it's tied in with socialising and that makes me very happy. I'm shocked and happily surprised that I sometimes have three generations of the one family coming in for a hot chocolate at 8 or 9 o'clock at night … that is how life in Sicily is and that is how life should be,” he says. The shop in Sydney's Five Dock is still very much a family affair: as well as designing the rustic, rough-hewn interior, Salvatore, who has a background in public relations, helps keep order at the counter while mum Gavina, 54, bakes her signature selection of cakes such as ricotta and almond and a chocolate cake with pistachio and golden leaves. Virginia concedes the custom of drinking hot chocolate has come a long way since the Mayans created the world's first warm cocoa concoction some 2000 years ago. She says that while she still follows her nonno's recipe for “a beautiful but basic dark and serious beverage” she also enjoys experimenting with new and inventive flavours. 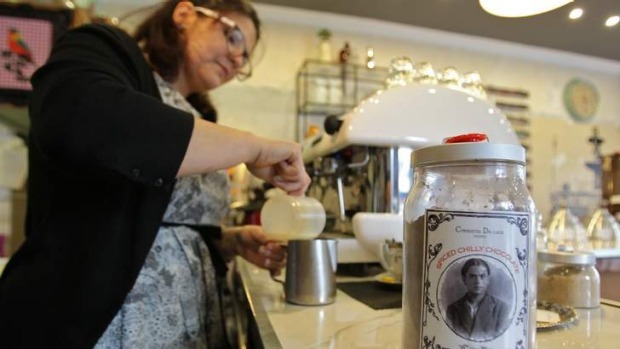 As well as staying true to her nonno's tried-and-true recipe for Italian hot chocolate, Virginia is introducing customers to drinks that may be scented with rosewater or orange blossom or contain a kick of chilli peppers. “What hot chocolate does for me is bring back my childhood memories. Drinking hot chocolate is very comforting, but it also brings you together as a family. I don't like to see anyone having hot chocolate on their own; it is a drink that has be to be shared,” says Virginia. “I used to go around Italy with Dad when he had a gelato cart to try and entice people into my grandfather's gelateria. When Nonno passed away, Dad wanted to continue the tradition. I grew up in Dad's shop in Sydney, which he opened in 1994, and now the latest Cremeria De Luca is like the family's new home,” she says. 1. Fill a small saucepan one-third full with water and bring to a gentle simmer. Place the chocolate, icing sugar and 2 tbs milk in a small heatproof bowl, place over pan and stir until chocolate has almost melted (don't let the bowl touch the water) and the icing sugar has dissolved. 2. Slowly add the remaining milk and stir continuously until well combined. 3. Continue cooking over a low heat until the mixture becomes thick and velvety and coats the back of the spoon. Serve with a dollop of fresh whipped cream. * Substitute the chocolate and icing sugar for Cremeria De Luca Creamy Chocolate Powder, available via cremeria-deluca.com; (02) 9712 4606. If you use the chocolate powder, use 150ml milk. A fondue set is perfect for melting the sugar together with the milk. Stir with a wooden spoon until the chocolate coats the spoon. Avoid using metal (because it affects the amalgamation) or plastic (which can melt). If you are using the bain-marie method, make sure your heatproof bowl sits snugly into a saucepan, which will stop water spraying into the chocolate. The hot chocolate is ready when it reaches about 95C. Transfer to a cold cup and the temperature will drop to about 85-88C, which is the perfect temperature to put to your lips. If you are lactose intolerant, use water instead of milk.